Acne is one of the most common skin conditions. 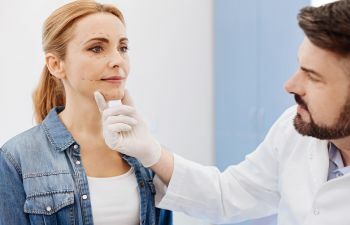 While it primarily affects adolescents as they go through puberty, many adults struggle to find confident facial skin due to the scars that acne leaves behind. Scarring of any kind is a result of trauma to the skin. With acne, scars can develop when there is deep trauma to the skin where an acne lesion developed. This can be due to picking or other external factors that aggravated the skin further. Unfortunately, acne scars, which can appear like deep pits or depressions in the skin, don’t always improve with time, and they can greatly alter the overall texture of the skin. Acne scars are created when the body attempts to naturally heal itself. When skin pores get clogged (with dead skin cells, dirt and oil), bacteria can grow to result in an engorged lesion or follicle in the skin, known as acne. When the lesion ruptures, the pus-like material that spills out can trigger irritation and inflammation. Your body’s first response is to repair the skin issue by forming new collagen fibers. Unfortunately, it is common for the body to either overproduce collagen (raised scars) or under-produce collagen (pitted scars) in this attempt to heal the skin. Not all acne sufferers will experience scarring. There are several factors that contribute to acne scars. First, the type of acne you have plays a role. Typically, inflammatory acne or cystic acne is more prone to scarring. In addition, those who have a family history of acne scarring or who often pick or touch their pimples are more at risk. Lastly, if you neglect or avoid treatment for your acne, you may find that you experience more acne scarring than someone who sought treatment. How Can a Plastic Surgeon Treat Acne Scars? If you are living with scars of any kind, consider talking to a facial plastic surgeon. 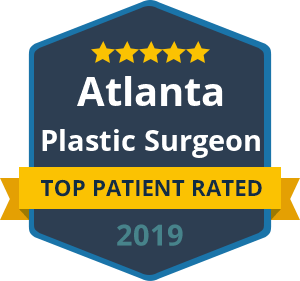 Dr. Talei is one of the country’s most esteemed facial plastic surgeons, and he carries extensive experience and training in treating acne scars. After carefully evaluating your case, we will customize a treatment plan to help you attain smoother and more confident facial skin.